Buenos Aires, Argentina. Wednesday 4th of November 2015. The “Copenhagen Denmark” lecture is given at the last day of the annual ICCA congress in La Rural exhibition & congress center in the middle of the city. This year, Claus Meyer is on stage. In front of a thousand of attendees coming from all the parts of the globe representing the international meeting & event industry. When I saw him the first minutes somehow reading his notes and without changing any slide after 7 minutes I thought “where do we go…”, it is supposed to be a very inspiring talk by an experienced speaker. 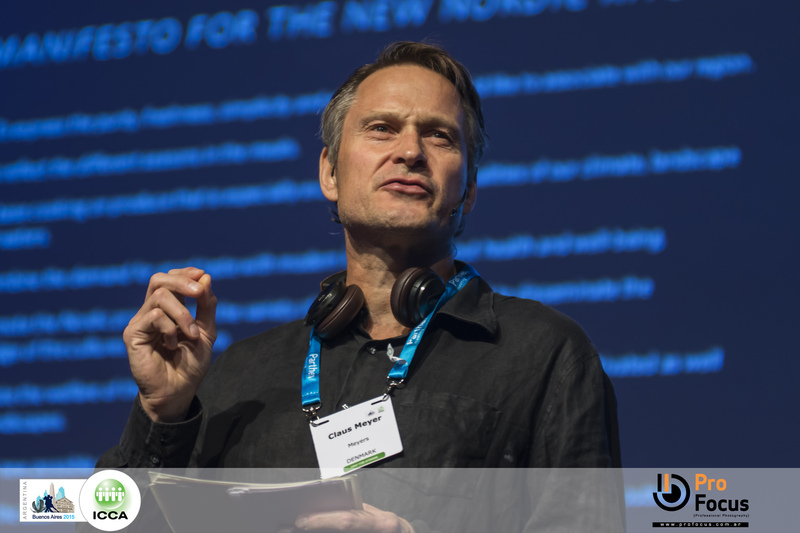 However, Claus Meyer was just setting the scene so that we understand where he comes from: Denmark, a country which values were “against the pleasure-giving quality of food and against sensuality as such” [00:12s in the webcast]. And an experience changed his life when he was 19: he spent time with a fourth-generation pastry chef in Gascony [slide 2 in the webcast] and he learnt two things very far from what he heard from his father: “Le bonheur c’est savoir ce que l’on veut et le vouloir passionnément, et quoi que tu fasses, il faut que tu l’aimes”. Meaning “Happiness is about knowing what you want to do with your life and having the guts to follow your heart” [08:00s in the webcast]. Back from France, in Denmark, he decided he wanted to change the Nordik cuisine and wanted to create a great food culture at home. He opened a restaurant (noma which became one of the best restaurants in the world) cooking only locally-produced food [slide 3 in the webcast] which was not common at that time. In the context of the melting pot foundation with the philosophy to use deliciousness to fight poverty, he taught prisoners to cook . 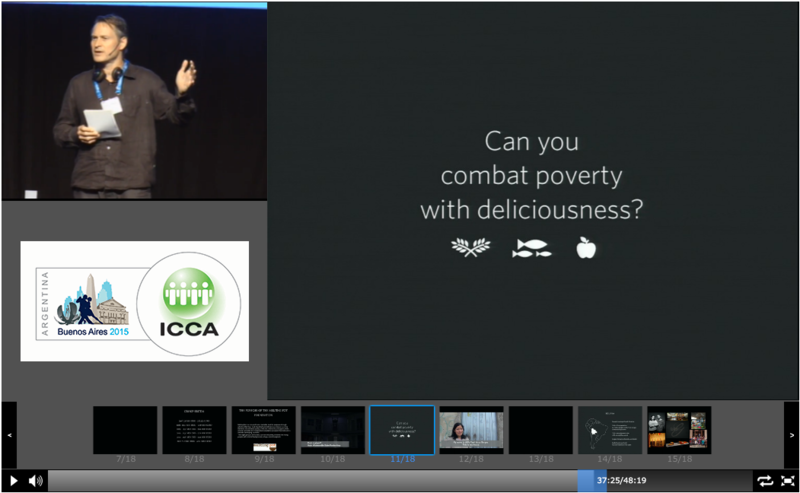 He created a social change through food also in Bolivia [slide 12 in the webcast]. 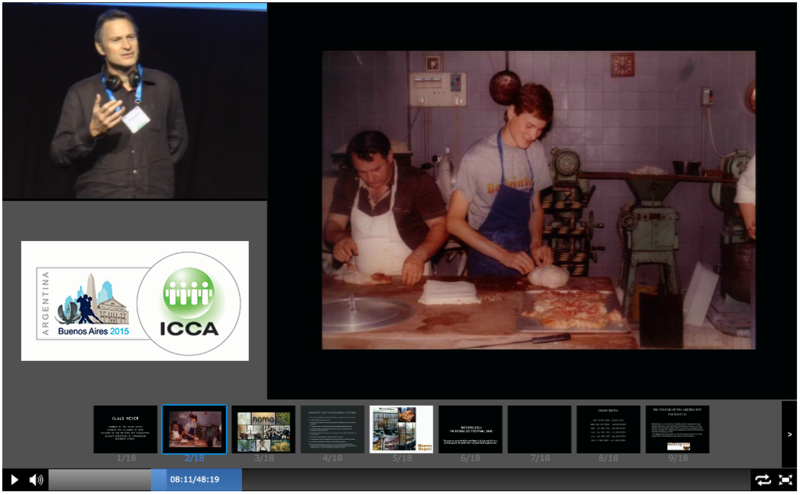 And recently he opened a restaurant in New York Grand Central station in Manhattan [slide 16 in the webcast]. Now they will try in Brooklin to create a bakery, a cafeteria and a school for the people in that struggling community in Brownsville. I leave you to discover his conclusion taken from the Danish author Peter Bastian [at 45:55s in the webcast]. More on him: Wall Street Journal article and another one published in FoodArts . His Twitter account. Klewel is webcasting partner of ICCA 2015 congress and member of ICCA – the International Congress and Convention Association: the global expert in international association meetings. At Klewel, we love to help you save the knowledge and gain more visibility by webcasting your events online. Contact us.